Unisex hoody for adults (for both men and women). Solid colour. Long sleeves with ribbed cuffs. Plaited draw strings. Available in a variety of colours. Lightweight for spring and summer. Yukon by Erreà is the perfect sweatshirt to wear in your free time or for practicing your favourite sport. It is comfortable and lightweight, and it is suitable for any sports activity or to use in your free time, if you need a garment to protect you from the cold. For this reason, we have designed it with elasticated waistband and sleeve cuffs: to block the chill air out and to keep the temperature inside always pleasant. In addition, it comes with a soft hood that can be adjusted using the plaited draw strings, so as to better protect you from the wind and the rain. 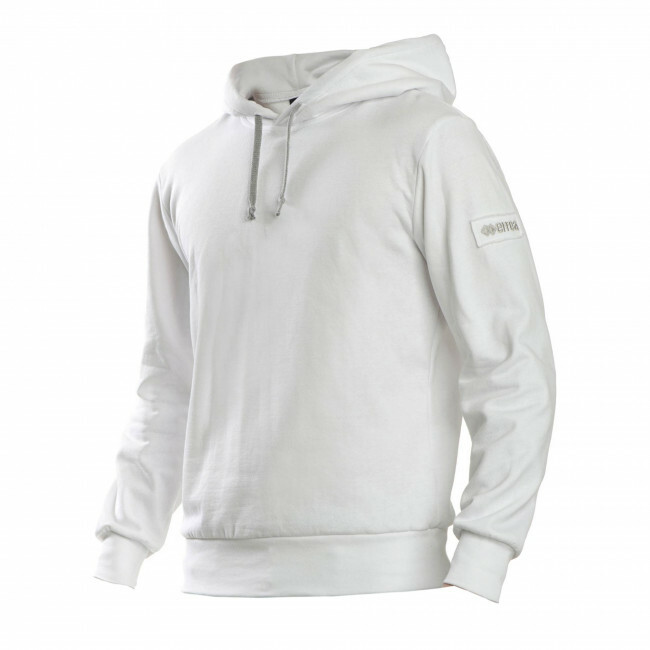 The Yukon sweatshirt is the perfect sports gear for your casual and athletic life, suitable for both men and women: you'll love its soft and fleecy fabric.